Banzai's pink weapons tree included two swords, two dueling knifes, a sickle, a large knife, an axe and a figure stand. 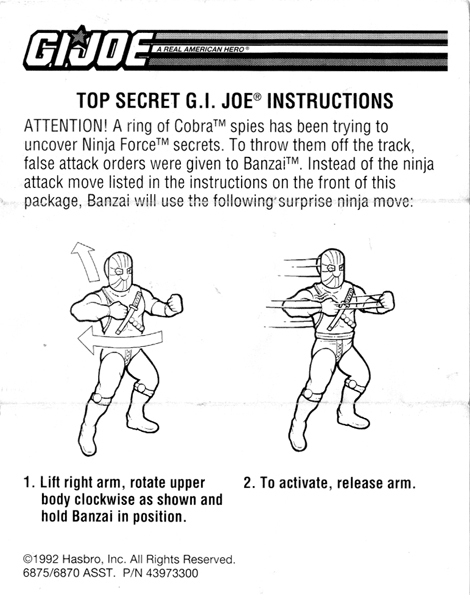 All nine 1993 Ninja Force figures (seven carded and two drivers) featured a spring-action, martial arts move. Banzai's was a suzushi slam! Banzai and Bushido's moves were accidentally swapped on the early card art. 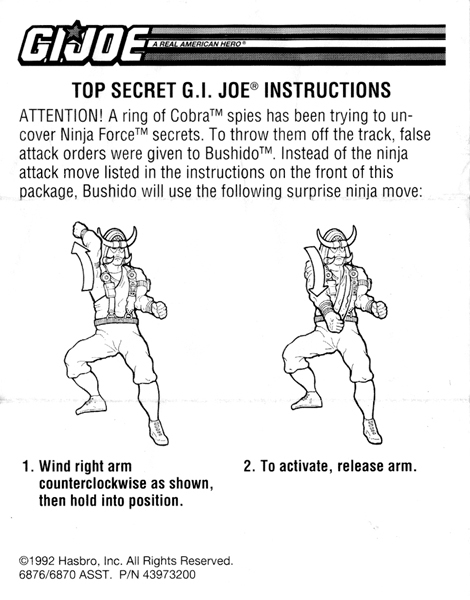 Paper inserts were included with both figures to explain. Insert scans courtesy of Tim Dz. Thanks, Tim, for the heads up on this oddity.